Anyone looking for clues about the future of the U.S. Election Assistance Commission (EAC) got at least a hint on Monday, when the President’s Fiscal Year 2013 (FY13) budget was released. Tucked into the $3.8 trillion budget is a relatively tiny ($11.5 million, or about 0.0003%) amount in new funds for the EAC. Only about two-thirds is slated to go directly to the agency; $2.75 million is earmarked for the National Institute of Standards and Technology (NIST) for its work on voting technology, and $1.25 million is designated for the agency’s Office of Inspector General, which audits both the EAC’s spending and HAVA fund spending by states. The remaining $7.5 million will be used to support an agency which continues to downsize; the budget shows a reduction in full-time equivalent (FTE) staff from 48 in FY11 to 29 in FY13. As has been the case for several years, the proposed EAC budget contains no new money for HAVA grants. The budget narrative says that the federal government has provided $3.2 billion to date – an impressive sum, but still short of the full $3.9 billion initially authorized under HAVA. The budget also brings forward untouched $1 million in unobligated funds for election data collection grants – about 10% of the funds authorized several years ago for a five-state study of data collection best practices. Of course, like the rest of the President’s budget, these figures are merely proposals – Congress can (and likely will) make changes as budget negotiations proceed at both ends of Pennsylvania Avenue. For the time being, however, at least the request is a non-zero number. That means the EAC has a future – even if it’s only for now, and only on paper. Say it with me … stay tuned. 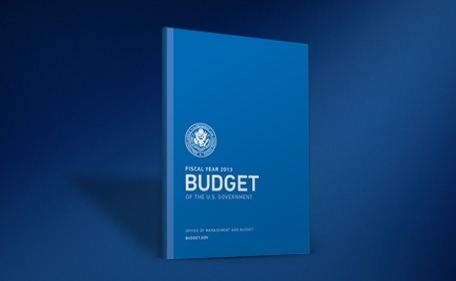 Be the first to comment on "Not Dead Yet: President’s FY13 Budget Has (Reduced) Funds for EAC"